Lutz’s specialized healthcare group focuses on an array of services for healthcare providers. Our talented team of CPAs and consultants has 125 years of combined healthcare experience, averaging over 21 years. We have provided accounting and consulting services to hospitals and healthcare providers in Nebraska, Iowa, Missouri, Kansas, Colorado and South Dakota. Our promise is to “mind what matters” to you by working together to come up with innovative solutions and see them through to fruition. Accurate and timely financial statements are vital to the success of any organization. From day to day accounting to a full range of financial consulting services, our team specializes in providing services tailored to your needs, giving you the time and flexibility to focus on providing exceptional patient care. Lutz has partnered with Nebraska Hospital Association Services, Inc. to provide comprehensive Chargemaster Review Services to Nebraska Hospital Association member hospitals through a vendor agreement. Our team approach is to develop sensible solutions and then work to fully implement those solutions in a way that works best within your organization. We believe our chargemaster review service is an instrumental resource for hospitals to help ensure they are pricing accurately for services rendered.  Lutz’s experienced coding and billing team assists healthcare organizations by working with data, people, technology, and processes at the patient and organizational level. Our focus is on helping facilities establish claims that are properly coded, compliant, and capture all services. Lutz will help facilities sustain changes to revenue cycle operations allowing you to plan for the long term. Lutz’s financial management support services team provides a variety of services, from providing advisory services to your current CFO and board of directors, to temporary and permanent outsourced CFO and controller services. Lutz will be a trusted partner and provide financial leadership during times of change and uncertainty. Whether it be a provider wondering if they are getting paid enough to wondering if you are compensating staff adequately, our healthcare team can help provide guidance and analysis to help resolve the questions. Initial enrollment, changes of information, reassignments, and revalidations are complex and increasingly regulated tasks that characterize participation in the healthcare industry. The Lutz provider enrollment and licensure healthcare team navigates the myriad of healthcare forms to properly enroll and license providers and healthcare organizations. We will work closely with organizations to proactively manage the enrollment and licensure process, unburdening staff and ensuring uninterrupted operations and cash flows. The Lutz Cost Reporting and Reimbursement team understands the unique aspects of both the prospective payment reimbursement system and the cost based reimbursement model for critical access hospitals (CAH). When issues arise that require specialized knowledge of the intricacies of the cost report and reimbursement, allow us to provide the best resources to assist with your cost reporting needs. With the complexity of the healthcare environment, strategic planning is an important tool to help your facility achieve the operational and financial performance desired. Lutz can assist you in understanding your current healthcare market, assess current operations, and accomplish strategic objectives. We embrace your business as our own to energize the right solutions and help you thrive.